He was orphaned after his mother was killed by a lion. He was left alone when his brother, Sambu, suffered the same fate. Then he was attacked by three territorial adult male cheetahs and left on the brink of death. 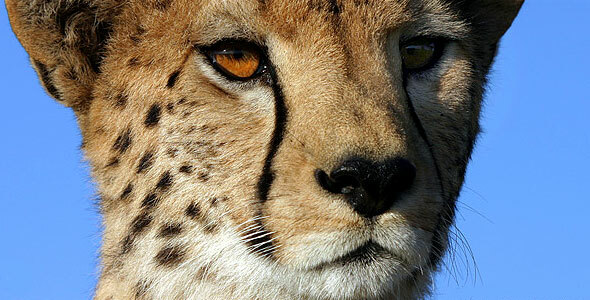 Toki the cheetah has had his fair share of brushes with the cruelty of life. That something may be the opportunity to father cubs of his own. 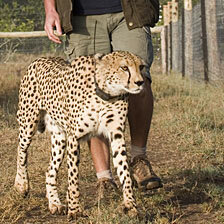 “He has never met a female cheetah to my knowledge, and will not unless we help to engineer it. This would not be a hugely significant change to Toki’s life: he would be with his mate for a number of hours only, and then have nothing more to do with her,” says Simon. Still, just by passing his own genes on successfully, Toki would be bolstering the shrinking cheetah population and advancing the effort of cheetah conservation in Kenya. For additional updates, please visit Simon King’s online diary.